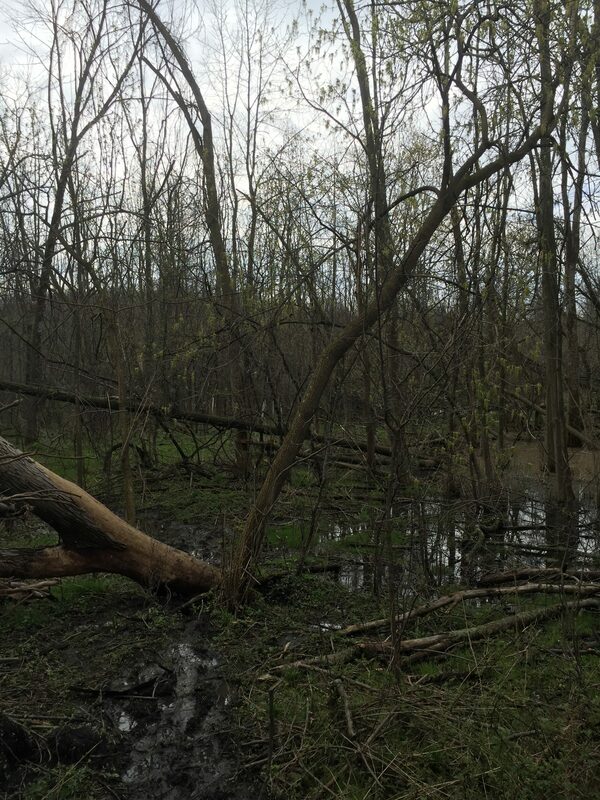 Because of all the recent rain, Maureen & Steve thought they would go check out the water level situation at the Oatka Creek Park planting site. So there you have it! We will reschedule the work for a later date. We’ll keep you posted. Thanks Maureen and Steve for checking things out! 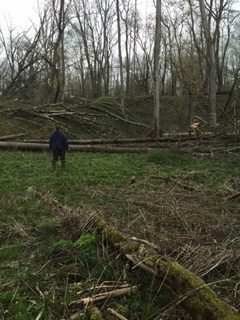 Maintenance of the Trees for Tribs planting sites is important to the long term success of the planting. 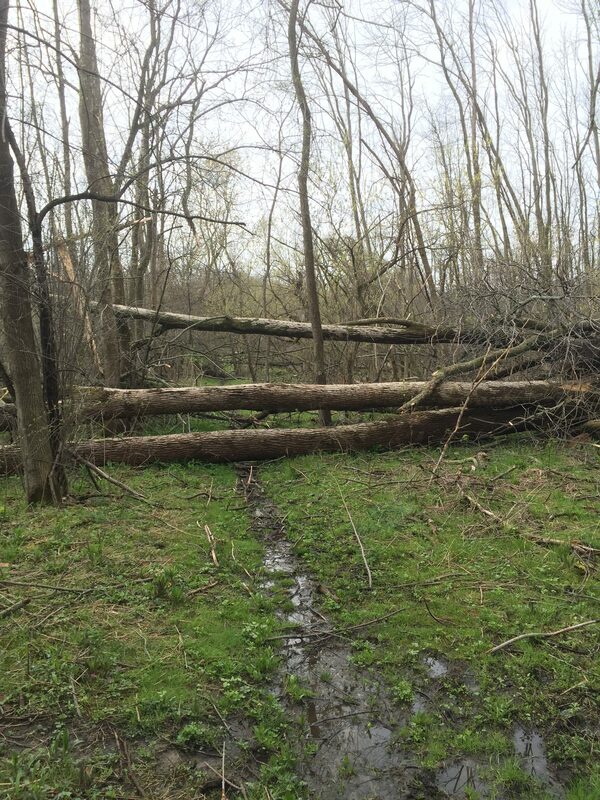 Join us this weekend for a health check of the site in Oatka Park. 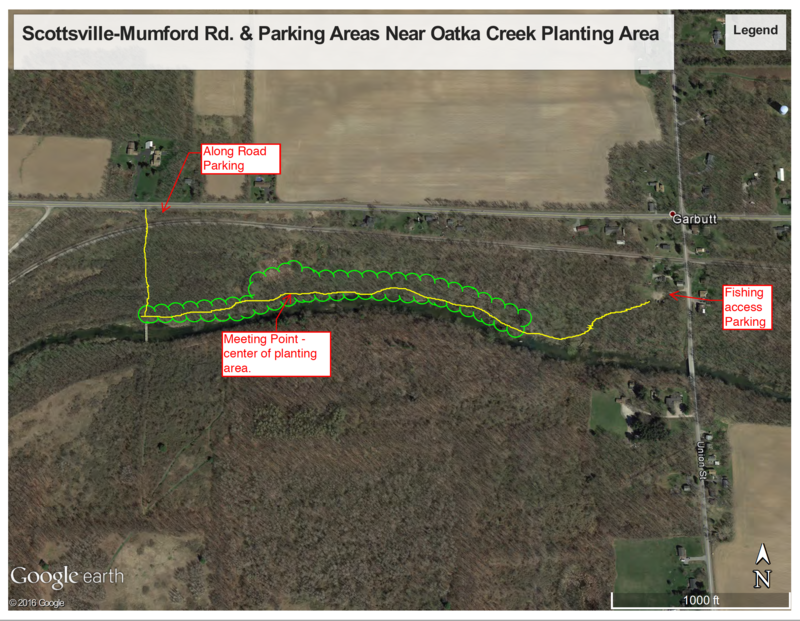 Come Help Plant Trees Along the Oatka! 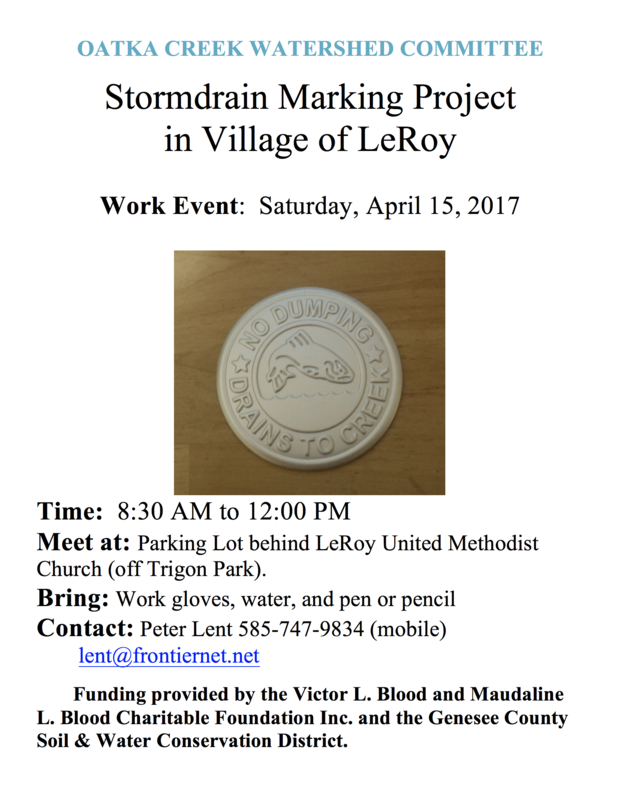 Thanks to all the folks that helped out on Saturday morning marking storm drains in LeRoy. 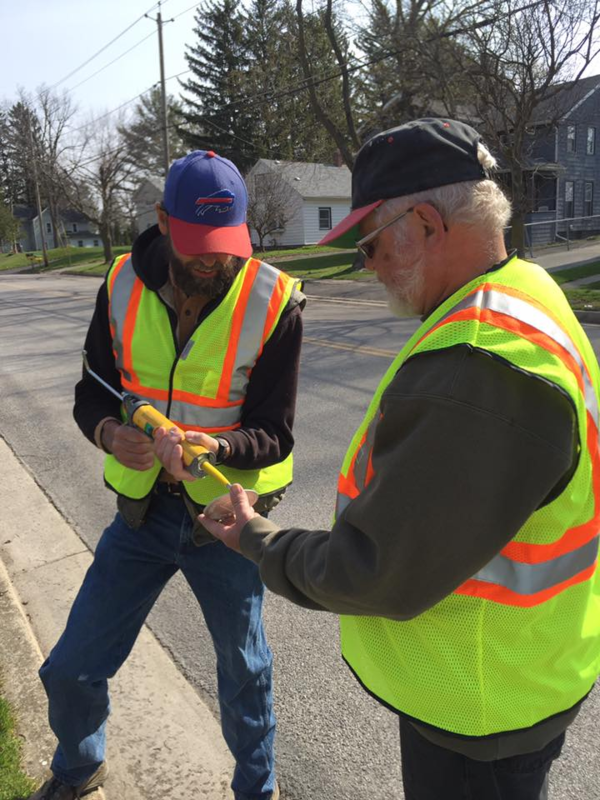 We marked a good portion of the drains in the Jersey Side neighborhood, and will be organizing other work sessions to continue the project throughout the Village. 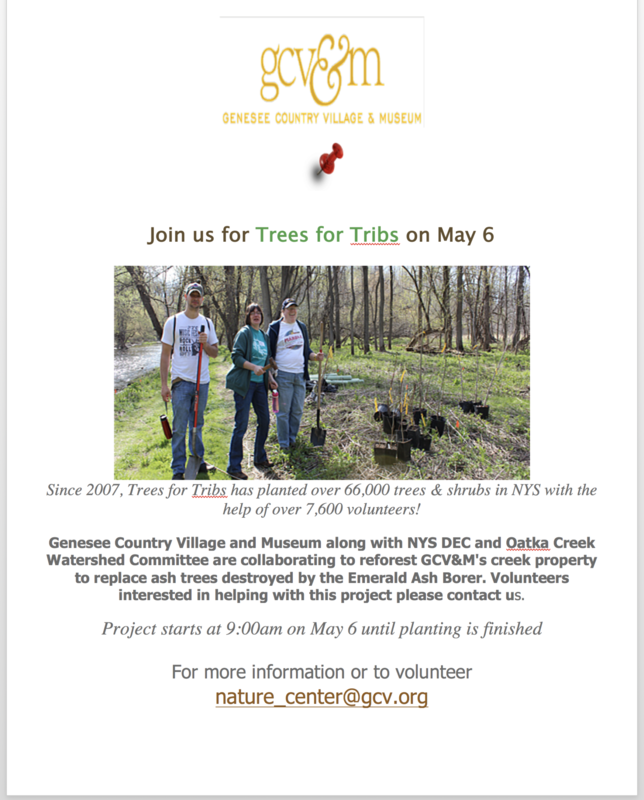 A big thanks also to our funding sponsors, Genesee SWCD and the Vic Blood Foundation! See us on Facebook for more pictures! 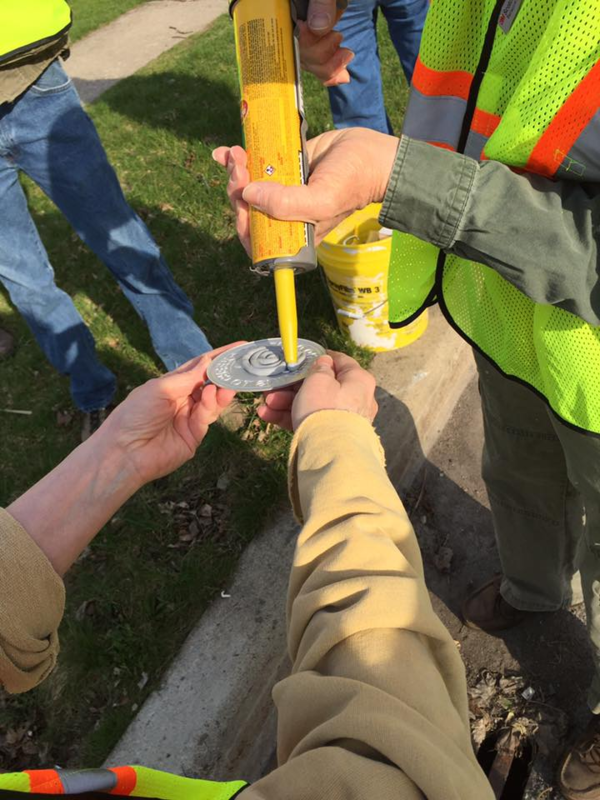 Demo of putting the caulk on the marker. George & Steve get down to business!